Migraines are one of the most common health ailments with approximately 38 million US citizens suffering from this condition. 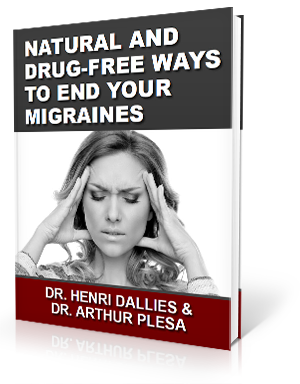 About 2 to 3 million migraine sufferers are dealing with chronic migraines. That means a person is experiencing 15 or more days per month with migraine symptoms. As a result, a person becomes willing to do anything to reduce the frequency of attacks. For some this has meant keeping a migraine journal to identify triggers. These are subsequently avoided. Usually, doctors recommend dietary changes to avoid migraines, although foods are one of the less common triggers. Here are a few food and drink items that are often the first to go. Anything containing caffeine – This means favorites like chocolate and coffee are some of the first things to be eliminated. Small amounts of caffeine may actually be beneficial, so these foods and drinks don’t have to be eliminated completely. 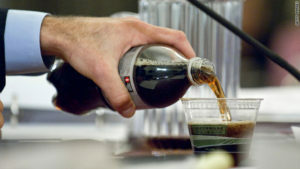 But for someone used to drinking several cups of coffee or having several sodas a day, the change may feel drastic. Alcohol – Red wine, in particular, is viewed as a potential migraine trigger. Meats and cheeses – Aged cheeses contain tyramines, which is considered a potential migraine trigger. Processed meats (cold cuts, hot dogs, etc.) contained sodium nitrate, another suspected trigger. Artificial sweeteners – Aspartame, a common artificial sweetener is also a migraine trigger. MSG – A staple in American Chinese food restaurants, monosodium glutamate can trigger migraines. It is also contained in a number of packaged foods, so avoiding this trigger means careful label reading. A lot of the dietary changes noted above are good for a person whether you suffer from migraines or not. Other foods and drinks such as chocolate, red wine, and coffee, can actually be good for you in moderation. Before you change your diet simply to reduce the number of migraines you experience, why not give upper cervical chiropractic a try. Many have found that a properly balanced atlas (C1 vertebra) helps to reduce the frequency and severity of this and other chronic health conditions. To learn more, schedule a consultation today. To schedule a consultation with Dr. Dallies call our Hendersonville office at 828-698-6677 or just click the button below.